Buy (Order online) Junior vikatan Weekly (2 issues) Magazine (Magasin) Now. Junior vikatan Weekly (2 issues) Magazine prices are inclusive of shipping and handling through USPS. (for US deliveries). For other Countries shipping will be handled through their Postal Services (like Airmail in India). Address for delivery (Subscription) can be changed anytime. Please mail us the changed address details to info@magazinesemporium.com. Junior Vikatan is the leading Tamil language weekly 2 magazine published from Chennai, India. It is part of the Vikatan newspaper family. Vikatan was started by S. S. Vasan in 1928 when he purchased a humour magazine that was not doing well for Rs. 200. Working hard, he built it up into a weekly and soon the weekly scaled to the top and the best selling Tamil magazine Junior Vikatan is still running successfully after nearly eighty years. 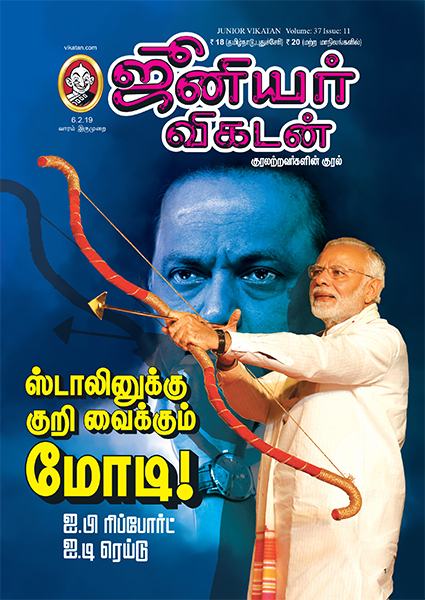 Junior Vikatan Tamil Magazine Subscription. 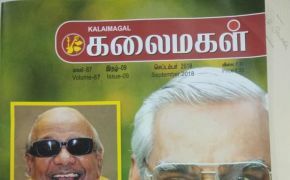 ஜூனியர் விகடன் Weekly (2 issues) Magazine subscriptions will commence either from current issue or from next coming issue. 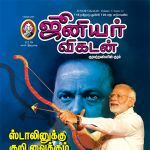 Juniorvikatan vaaram iru idhalgal Tamil Magazine will be shipped immediately on getting the issues from the publisher. They are inclusive of Diwali and Annual issues. Any special issues will also be sent free.